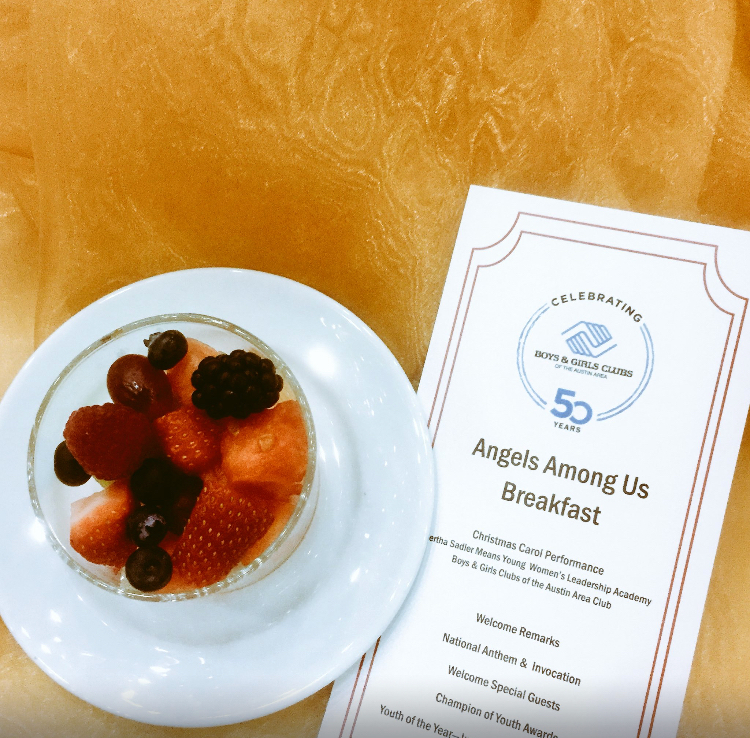 The annual Angels Among Us Breakfast is a celebration of Austin youth whose actions are consistently virtuous and exemplify the mission of the Boys & Girls Clubs. The event will recognize recipients of our Champion of Youth Award, Outstanding Staff, Outstanding Volunteer and Youth of the Year. Each year, two exceptional Club members are selected to represent Boys & Girls Clubs of the Austin Area (BGCAA), one as Youth of the Year (high school) and one as Junior Youth of the Year (middle school). The winners will be announced at this breakfast. Youth of the Year serves as both an exemplary ambassador for Boys & Girls Clubs youth and a strong voice for all of Austin’s young people. On Friday, Dec. 7, BGCAA staff, kids, volunteers and members of the local community will gather at Hyatt Regency Austin starting at 8 a.m. to hear their incredible, inspiring stories. All Austin-area residents are invited to celebrate our youth—by attending or by sponsoring and underwriting a ticket for one of our Youth of the Year nominees or their guests. To learn more about the event or available sponsorship opportunities, please contact Jena Eiden at 512-444-7199 or [email protected].